Hardcover, 9.5 x 9.5 in. / 64 pgs / 40 color / 10 bw. Text by Eckhard Hollmann, Christoph Tannert. 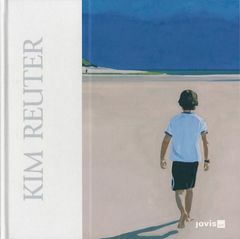 Cologne–based artist Kim Reuter (born 1971) paints radiant and serene portraits, landscapes, interiors and still lifes, infusing them with a delicate and obsessively detailed naturalism, and carefully capturing the play of light across a mountain-ringed lake or the face of a child. This first monograph collects her entire oeuvre to date. FORMAT: Hbk, 9.5 x 9.5 in. / 64 pgs / 40 color / 10 b&w.